Even though I’ve been living here a while, I’m often caught up in French stereotypes. I’m always daydreaming of striped shirts, Chanel, and the je ne sais quoi air of legendary French girls. Nevertheless, I’ve realized something about that effortless French sense of fashion and beauty. French girls keep it simple. From the quick tousle of their hair and the barely there makeup, French girls have a knack for highlighting their best features without overdoing it. Sometimes it’s a simple gloss and some mascara. Or their black and grey apparel is spruced up with a bright silk scarf. Most importantly, the French girl style is about attitude and having a solid outlook on life. I’m always seeing French girls reading the latest roman (novel) on the metro or taking a long break for a café (expresso) with friends. They’re rarely tied to their phones or hiding behind giant sunglasses. These French girls enjoy life well and they’re comfortable in their own skins. And it’s their impeccable skin that I admire the most! Since French girls don’t really wear foundation and never contour, they rely on the natural beauty of their skin. It took me a while to hunt down what kind of skincare products French girls use. Sometimes I’d sneakily look over bottles at different friends’ places just to get an idea. I expected pricey serums and dermatologist concoctions. Most of the time, these girls were using simple products from French pharmacies. And it wasn’t always just girls! I also noticed many French boys were using similar products. They all had one thing in common: their routines were very simple but well suited to their skin types. Most products were designed for sensitive skin and contained no parabens. I never found the 500 euro serums, not even in the bathrooms of my more wealthier French girl friends. France has taught me that good skincare is not just about the best products. Whenever I asked my French friends how they took care of their skin, they would shrug and tell me general things. But I knew the secret was also based on diet and lifestyle. French diets are much better than in the States (less fat, less chemicals, less everything!) as well as lifestyle (more vacation, universal healthcare, slower pace of life). Most importantly, genetics plays a huge part in skincare and you can’t always control what your body does. Skincare is a constant balancing act. Even if you find the best routine, it will have to change as you change. French skincare strives to adapt to all these different changes and not just to different skin types (oily, combo, dry/sensitive). There are brands that specialize in treating stressed skin, such as La Roche Posay’s line for skin that’s just been operated on (nose jobs or Botox, anyone?). Some brands target dry winter skin while others specialize in skin that’s constantly exposed to sun. A new addition to my collection. This is a replacement cream for my old favorite, the Nuxe Rêve de Miel Crème Visage Ultra-Réconfortante (night cream). Unfortunately, the Nuxe cream has caused a terrible patch of red blisters below my mouth. Because of this irritation, I’ve turned to Avène. Using special thermal water from their natural spring, Avène advertises itself as a dermatological laboratory that formulates “dermo-cosmetic” products for sensitive skin. Avène Thermal Water is supposed to be soothing and anti-irritating. I use this cream at night and it has overall improved the quality of my skin. I wake up with very soft skin and I’m happy with the results. It goes on smooth and a little sticky at first, but it absorbs quickly into the skin. It also comes with a little spoon to prevent contamination by dirty fingers. Avène Eau Thermale Water (Facial Spray) - I don’t need to write much about this wonder product as it’s celebrated on almost every beauty blog. It’s a spray to refresh your face or top off your washing if your tap water is too hard/full of minerals. Parisian water is really hard and I often use this spray when my face gets irritated. Avène Cold Cream Lait Corporel Nourrissant (Body Lotion) - Not pictured. I discovered this cream at the house of Petit Copain’s parents! I’ve been using it for more than a year now but the past two times I’ve been to City Pharma, they had run out of this cream. I’m hoping it’s not being discontinued because it will break my heart! This is seriously the best body lotion I have ever tried in my life. I’ve tried body lotions from Uriage and La Roche Posay, and they just weren’t moisturizing enough. I’ve also bought Topicream, but it’s much too greasy and I don’t get the same results as I do with the Avène Cold Cream. The Avène body cream is very heavy at first but it absorbs into the skin quite quickly. I never feel greasy and it keeps me hydrated throughout the day without having to reapply it often. Depending on the weather, I usually choose riche for winter and légère for summer. I am obsessed with this daily moisturizing cream and sunscreen 2-in-1. I never feel oily and my skin keeps hydrated. Coupled with the Avène cream I use for the evening, it’s a great way to keep my face properly moisturized and protected. The SPF is important too, even if it’s always grey in Paris. The cream is a little greasy at first, but it goes away after a few minutes. I am obsessed with this soap. I find American soaps terribly harsh and full of chemicals, but this “soap free” wash is so gentle and kind to my skin, it’s become my best friend. It purifies the skin well without being overly irritating or drying. This is a must-buy. Make sure to massage the soap into your skin to get that foam going on. Serozinc (Anti-Irritation Spray) - A treatment spray for irritated skin, this has saved me many many times. Originally formulated for controlling oily-prone skin, the spray also helps upset skin. I get awful ingrown hairs whenever I shave, especially around the bikini area. Serozinc helps soothe angry, red skin and prevents bumps from happening. It also treats bumps that are inflamed. The spray does not sting when you apply it. I use this cream for everything… burns, cuts, and roughened skin! I also use it alongside Serozinc for ingrown hairs. It’s a lifesaver. Keep it in your purse! The cream is super greasy, so make sure to apply only a little bit at a time. For treating dark marks caused by acne or other scarring. Like all lightening creams, it takes a couple weeks to see real results. It has faded the bad acne scars on my chin. The texture is nice and light, and easily absorbs into the skin. Hydreane Legere/Riche/Extra Riche (Daily Moisturizer) - Not pictured. This was my go-to cream before switching to Avène. I only switched because this cream doesn’t contain sunscreen and I’m too lazy to put it on before my moisturizer. The extra riche type is amazing for skin ravaged by winter. It will soothe you and your soul. The texture is very creamy without being too greasy. While I’ve given up on the Rêve de Miel night cream, I still adore the Nuxe Crème Fraiche repairing mask. This is an ultra healing cream that does wonders on redness, puffy eyes, and overall irritated skin. It’s supposed to be used as an overnight mask, but sometimes I wear it as a moisturizer when my face is out of control during the winter. If you use it as an overnight mask, you will wake up with soothed, baby soft skin. 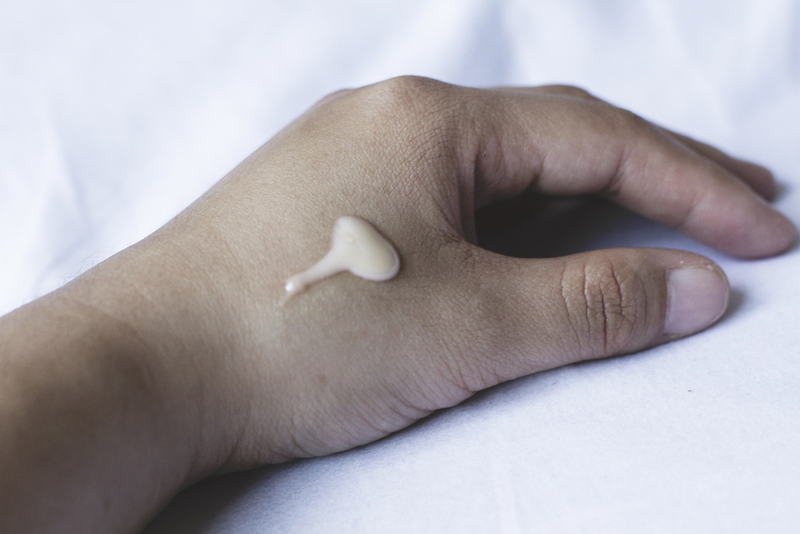 The cream is quite heavy, so if you decide to use it as a moisturizer, don’t put too much on. I love these organic herbal sprays. 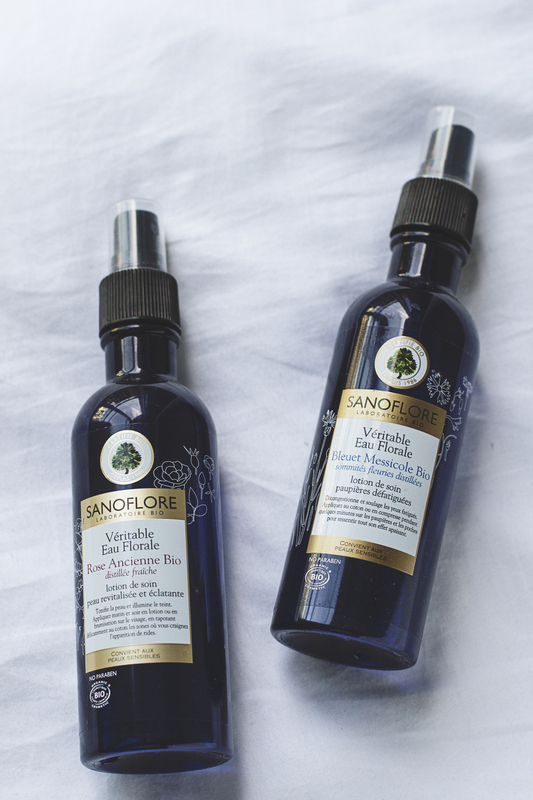 The rosewater spray is uplifting while the cornflower spray is good for calming puffy eyes. Sanflore also sells cornflower eye patches. This eye cream has significantly improved my under eye circles. Even during the busiest part of my week, people compliment me a lot, telling me I look “very well rested”. It’s a little pricey for a pharmacy eye cream, but still reasonable (about 28 euro). The cream is a little greasy so make sure not to overapply. This was a purchase made on a whim. One of the consultants at City Pharma, the best place to find deals on French skincare, recommended me this instead of an anti-wrinkle eye cream. It’s organic, extra gentle, and one of the most moisturizing eye creams I’ve ever had. The product claims it uses marine collagen, whatever that is! Still, it’s not greasy and works all day to depuff eyes, keeping them looking nice and awake. You can also use this cream on the fine lines around your mouth. I use the Placentor cream in the morning and then the Biotherm cream at night. I hope you enjoyed my beauty post! Next time, I’ll be writing about some of the blogs I adore as well as the origin of Petite Copain. Check out Lisa Villaume’s Blogger Recognition Awards post here for blogs you should put on your radar (including me!). Check out her awesome blog while you’re at it. Until next time!